On the back of the success of the NES Mini, Nintendo have launched the Nintendo Classic Mini: Super Nintendo Entertainment System AKA the SNES Mini. This stock checker will automatically alert you as soon as a store receives online stock of the SNES Mini. Kelsey, could you add this one too to the main post? Hey thanks for the heads up but it looks like they may have removed it? Kelsey They did. Argos messed up on their big, exciting pre-orders of the Classic SNES. As they said "will be live in a few days" and people could order up to 8 Classic SNES units if they wanted. Thanks, added Toys R Us to the SNES Mini checker! Thanks for the heads up We don't support Play Asia yet but I'll get it added as soon as I can! Thanks for the heads up KrisGolds - I've added Tesco to the stock checker but unfortunately it doesn't yet support a "Pre-order" status. It's in the pipeline though! When are currys releaseing preorders on snes mini? hi. the sound alerts are not working. Kelsey hi could u also add these sites as well. they all ship to the uk for sure. I am not sure currys and john lewis will sell them as they did not sell the nes mini. I would of thought if they were going to they would of done by know but we will see. Game stop Ireland product link https://www.gamestop.ie/Other%20Products/Games/64454. Kelsey could u add this to the main post. Also when asda/George put the listing up for the snes mini do u think u would be able to add that to the main post. Hey, more than happy to add any links as soon as they become available Do you know if GameStop deliver to the UK? Unfortunately we have to restrict it to retailers shipping to the UK as otherwise people will get alerts for SNES Mini Stock that isn't available to them. Kelsey Yes game stop deliver to the uk. here is another link of another company. They deliver to the uk and are reliable.https://www.elcorteingles.es/videojuegos/A23204900-nintendo-classic-mini-super-nes/. Here is another company. 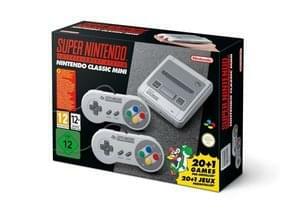 They also deliver to the uk.https://jeux-video.fnac.com/Console-Nintendo-Classic-Mini-Super-Nintendo/a10859860/w-4. I can give u a massive list of companys. so do u think u would be able to add asda/George when it becomes available. 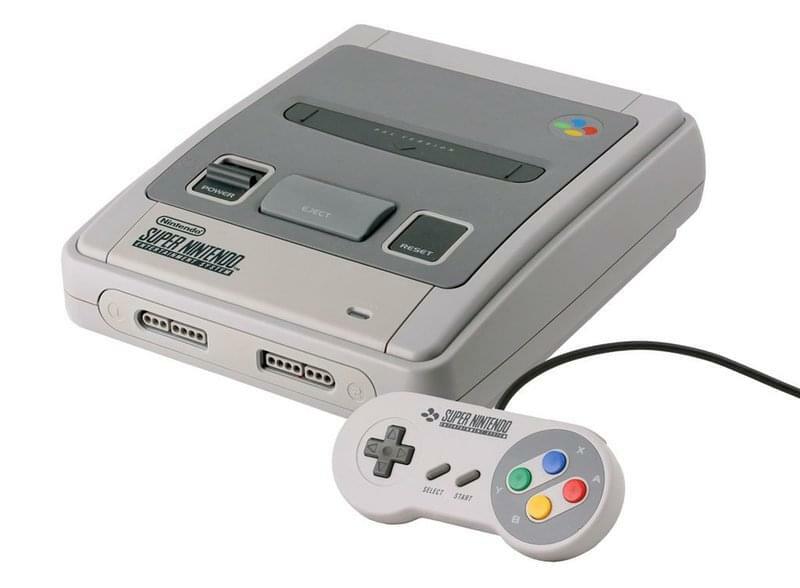 Here is another it is called 365 games and is based in the uk.http://www.365games.co.uk/retro-consoles/nintendo-classic-mini-snes-super-nintendo-entertainment-system-console. Cheers Kelsey. Kelsey is the shop to alert working. functional. Kelsey Hi Kelsey do I have to be signed in for the stock alert to work for the snes mini. Kelsey Here is another. They ship to the uk. The price is very reasonable 79.99 euros and shipping is low.http://www.cultura.com/nintendo-classic-mini-super-nes-entertainment-system-2-manet-0045496343354.html. A very reputable company. Kelsey All these retailers that I have provided links for ship to the uk. simon5757 Hey if you get instant notifications of emails the best way is to enable email notifications and we'll email you as soon as we find stock You don't need to be signed in to the site for the on-site notifications to work. simon5757 Thanks for the list of all the retailers - that's incredibly helpful! We have to set up the stock checker for each new site individually (we've never checked the stock on lots of these sites before). I've added it to my list and I'll try and get around to adding them as soon as possible. The LD tech department is just me so I'm afraid there may be a little delay but I'll do my best! Kelsey Ok Cheers. Kelsey I would really appreciate that. Thank you ever so much. Kind regards. hi Kelsey, Saturn de does not ship to the uk, sorry about that and www.boulanger.com does not ship to the uk and rueducommerce.fr doesn't from the list that I gave u as well as boucher de shop but apart from that they all do. The main ones though are fnac.com. game stop Ireland, 365 games.co.uk,https://www.cultura.com/nintendo-classic-mini-super-nes-entertainment-system-2-manet-0045496343354.html and https://www.elcorteingles.es/videojuegos/A23204900-nintendo-classic-mini-super-nes/. u could check them just to make sure if u have time. Johnny Argos link is here and active. Where did u get one from. You can expect stock to sell out almost immediately, so be ready to order quick! Hey Joe, if you have any questions about how the stock checker works please just shout - happy to help! Kelsey HI,when stock does come in the green page shows up but the sound never goes off. I have the window still open on my browser but I am not necessarily on that page when it goes off. How exactly does it work. I don't want to use email alerts just the alarm sound when it goes off. Plus how log should the alarm go off for is it continuous for a few minutes . please help? Kelsey Hi Kelsey the sound, alarm does not go off, the green page comes on but no alarm. Th window is open but I am not on that page when the alam goes off do I have to be. I don't want email notifications. Wht am doing wrong. Hi I'm not getting any email notifications or anything and I've missed the last few can someone help please? just noticed all the Smythe's alerts come through, missed a few. Does this stock checker also alert you if there are pre-orders available? Unfortunately it doesn't work for every store as some stores incorrectly report their stock status as being "available for pre-order" when actually they're out of stock! We try and make sure we don't send emails for those stores as that would be really frustrating! And yes, that's not a typo - the Super Nintendo Mini will include Star Fox 2 - previously never released on the actual games console. There was a huge amount of hype and demand for the NES Mini and it was a real struggle to find one in-stock. We recommend you sign up for our stock alerts early and you'll get an email the second we find online SNES Mini stock. Nintendo first released the follow up to their popular Nintendo Entertainment System in 1990 in Japan. It followed a year later in the USA before reaching Europe in 1992. It's more commonly (and affectionately) known as the SNES and was bought in it's droves by keen video gamers who loved the likes of Mario. Unlike today, when the SNES was released there weren't quite so many stock issues - if you wanted to buy one it was more a matter of a) waiting until it was released in your country and b) saving up enough money to be able to purchase one. Oh, and not forgetting you had to actually go into a physical store too - you'd have to find stock on the shelves of a brick and mortar retailer if you wanted to get your hands on Nintendo's console. But, oddly, it looked different in America and different still in Japan too. I think we probably lucked out as (perhaps it's just nostalgia) but I think we got the best looking SNES. And, happy days, the new European version of the SNES Mini Classic will mimic the console we all knew and loved.